Small portions of toothpaste, deodorants, dental floss, and other personal hygiene items for hotels and vending machines. Johnson and Johnson Reach Waxed Dental Floss - 55 Yd. 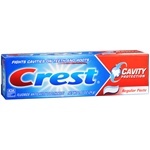 Procter and Gamble Crest Cavity Protection Toothpaste Regular 0.85 Oz. Unilever Best Foods Axe Phoenix Travel Size Body Spray - 1 oz. Degree Mens Cool Rush Invisible Solid Deodorant - 0.5 Oz. Lubriderm Daily Moisture Lotion Fragrance Free - 1 Fl. Oz. 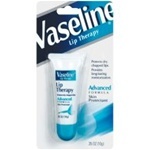 Benadryl Topical Original Cream - 1 Oz. Benadryl Topical Extra Strength Cream - 1 Oz. Degree Invisible Solid For Women Shower Clean - 17 Grm. Total Mouthwash Peppermint - 2 Fl. Oz. Colgate Optic White Trial Toothpaste - 0.85 Oz. Mennen Antiperspirant Regular Speed Stick - 1.8 oz.